One of the things we stress to all of our wedding couples is the importance of an engagement session for us to get to know each other before the actual wedding day. We can personalize the experience by going to a place that has some significance to them. We want to say a special thank you to Hillary and Tony for giving us a mini vacation spending the day at Disneyland with them right before Christmas. We were lucky to be there on a Tuesday without many crowds to bother our fun adventure. 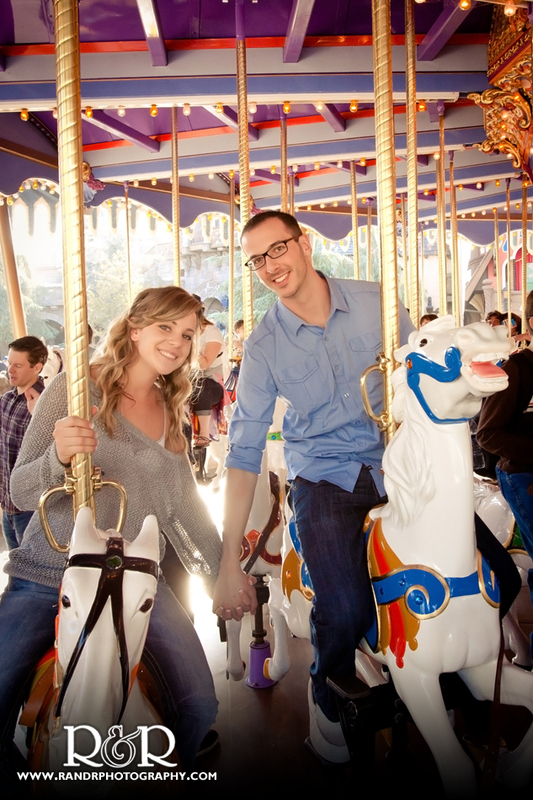 Hillary & Tony have season passes to Disneyland and it is a really special place to them – we were just along for the ride and the shutter snapping to capture their favorite spots and experiences. We planned a strategy early in the morning to get the images around the castle and Fantasyland during the parade when all would be quiet as everyone gathered along the parade route. 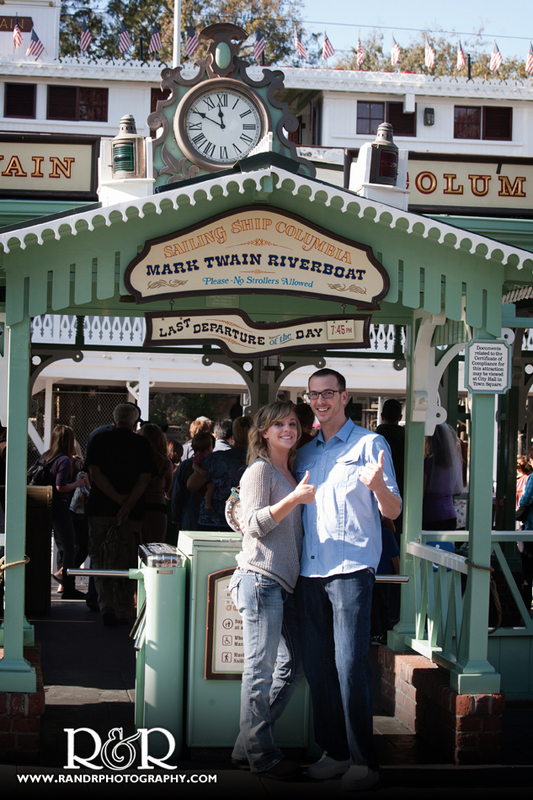 We started out with a ride on the Mark Twain Riverboat to explore Tom Sawyer Island and enjoy the warm beautiful southern California day. 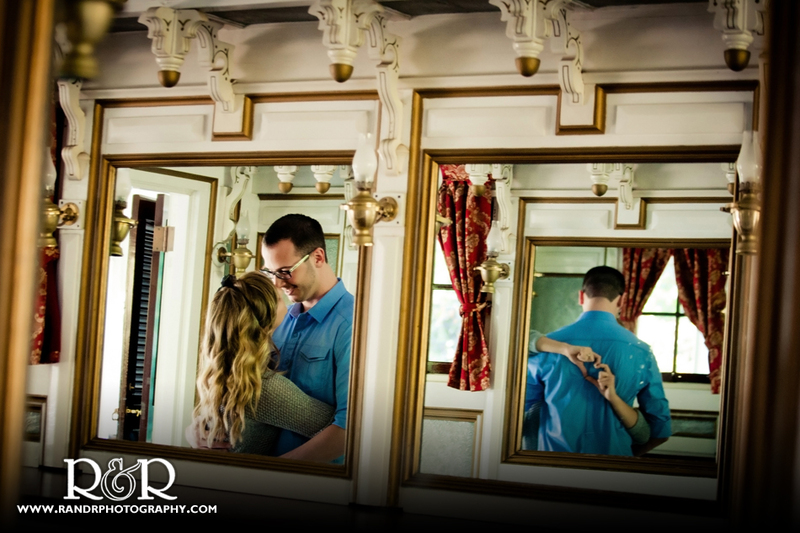 Whether they were making hearts behind their backs for us to capture in the mirrors on the boat, smooching behind the railings or peeking around corners to surprise each other and us, the ride over was so much fun and gave us so many opportunities for fun photos. Once we got to the island, they were peering through the periscope, sitting atop barrels, and finding their own hidden baubles amongst the Pirate’s Lair Hidden Treasure. 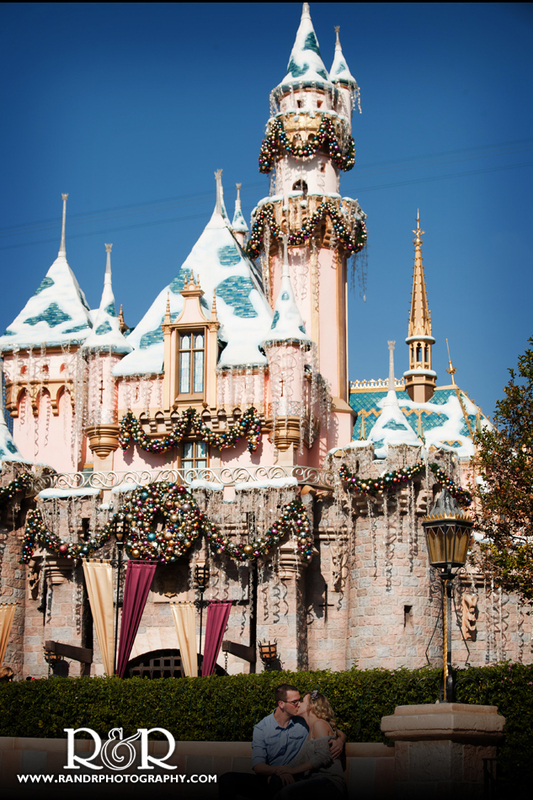 We arrived at the Sleeping Beauty Castle just in time to snap a few while everyone’s attention had turned to the parade- then it was off to King Arthur’s Carrousel for a ride- followed by their customary sharing of the churro at their special stand. 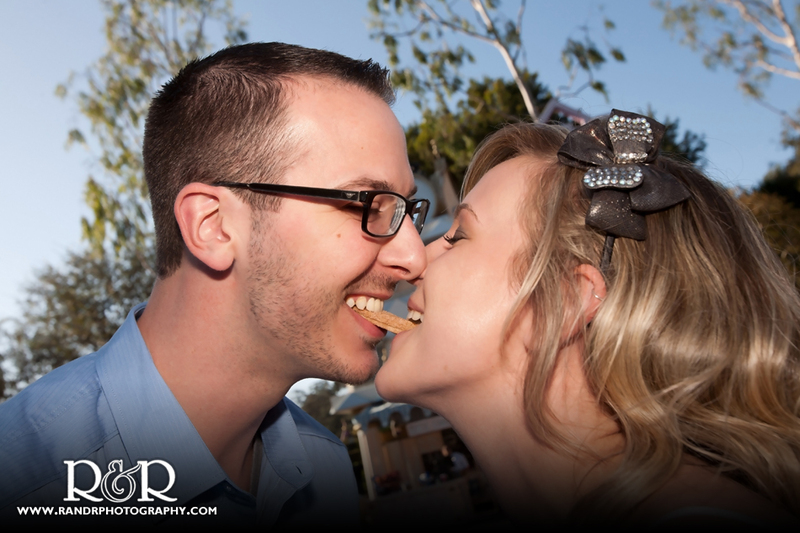 The only time Hillary wasn’t thrilled with her groom to be was when she had to share her last bite of churro with him- wishing he would have saved some. 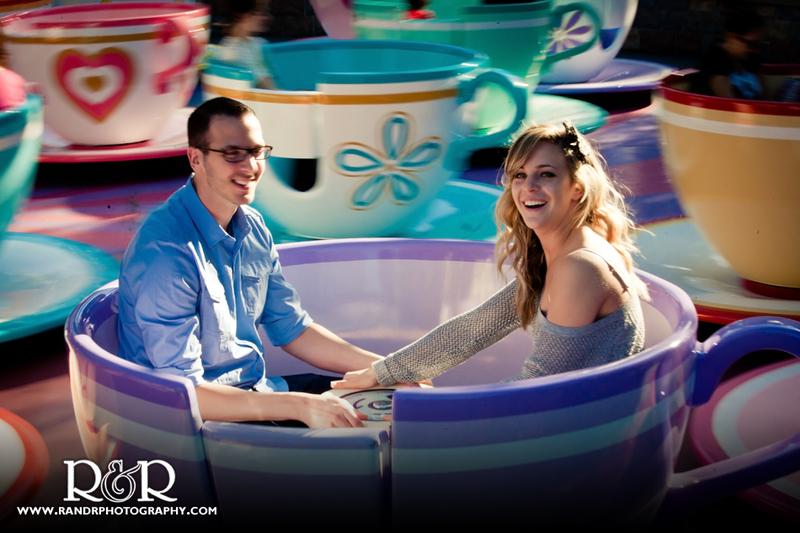 Nothing a quick spin on the teacups at the Mad Hatter’s Tea Party wouldn’t fix! 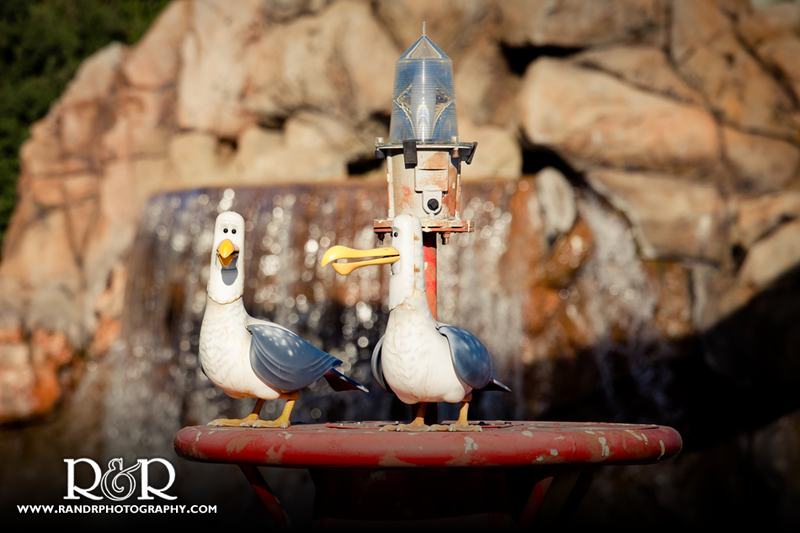 The day wouldn’t have been complete for Hillary & Tony without a special stop to see their favorite seagulls at the Finding Nemo Submarine Voyage as they bellowed: “Mine, Mine, Mine” over as and over- this will be their chant in my mind forever. This lovely couple truly exemplifies finding each others mine! They were off to taste their wedding cake at a local Anaheim bakery so they bid us an early farewell extolling us to enjoy the rest of the day at the park. I must confess- we did! We enjoyed a lovely dinner in Orleans Square following by a ride on my personal favorites- Indiana Jones. Hope you enjoy the images as much as we enjoyed creating them. We can’t wait for our next adventure!